The January transfer window has been a bit of a damp squib to date, with the exception of Manchester City’s big money purchase of prolific Bosnian striker Edin Dzeko, but rumours of possible signings abound. 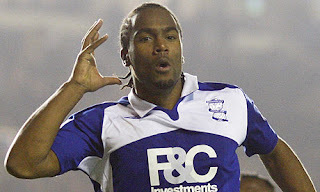 Perhaps surprisingly, one club that has featured prominently in the feverish press speculation is Birmingham City, who have been linked with a series of attacking players in an attempt to resolve their goal scoring problems, including Kenny Miller and Robbie Keane, and have signed David Bentley on loan. The reason for Birmingham’s activity in the transfer market is clear, as they are currently languishing in 15th position in the Premier League (albeit with a game in hand), a single point ahead of the relegation places. Even though the Blues have proved their usual obdurate selves defensively, particularly at St. Andrews, they have only won four times with their points tally being damaged by an unusually high number of draws (ten). Realistically, the fans’ hopes should not be overly high, as Birmingham have only won one major trophy, back in 1963 when they beat local rivals Aston Villa 3-1 on aggregate in the League Cup, though they have played in the top tier of English football for the majority of their history. Nevertheless, the team achieved a highly creditable ninth place finish last season, which was particularly praiseworthy, given that this came immediately after being promoted from the Championship. Great stuff, but this was always likely to be a hard act to follow and, sure enough, Birmingham are suffering from a classic case of second season syndrome, whereby a promoted team that exceeds expectations invariably struggles the following year. "Alex McLeish - Big Eck"
In fairness, the club’s prospects have been hurt by the long-term absence of James McFadden, exacerbated by the failure in the summer to secure manager Alex McLeish’s preferred striking targets, including Bobby Zamora, Fabrizio Miccoli and Moussa Dembele. As an alternative, he has had to make do with beanpole Serbian forward Nikola Zigic and Chilean winger Jean Beausejour, supported by loan signings Matt Derbyshire and Aleksandr Hleb, and none of these players has had a meaningful impact on the scoring charts. 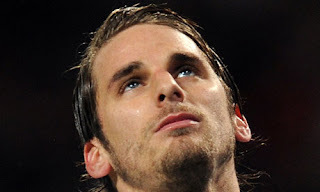 "David Bentley - dreaming of a new start"
It’s a real dilemma for Birmingham: in the immortal words of Richard Keys, do they stick or twist? If they don’t improve the squad, they run the risk of relegation and all that entails, but, on the other hand, if they do splash the cash, they will place an additional financial burden on the club’s threadbare financial resources. Last year McLeish explained his ethos, “There will be money to spend, but there has got to be prudence.” Of course, if the money spent were to result in the club maintaining its place in the Premier League, it would certainly recoup its investment, but this still represents a gamble. This is especially so in the case of the Blues, as highlighted by the latest accounts for Birmingham City PLC, which were released last week and included the dreaded “Emphasis of Matter” warning, which stated, “These conditions indicate the existence of a material uncertainty which may cast significant doubt about the Group’s ability to continue as a going concern.” Although some have under-played the significance of this statement, suggesting that it’s merely a case of accountants covering their backsides, the reality is that auditors do not make such remarks lightly, as supporters of Liverpool and Hull City would appreciate. 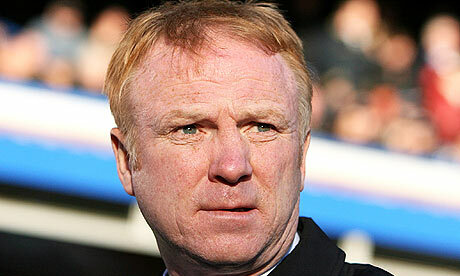 In simple terms, there is a risk that Birmingham City will be unable to pay its bills and could even go bust. The same accounts make it crystal clear that the club “is reliant on continued funding from Carson Yeung.” Of course, Birmingham are by no means the only club that is dependent on the support of a wealthy benefactor, but the comments on future trading and liquidity emphasise the hand-to-mouth nature of the club’s existence, as “the forecasts show that the Group needs funding of around £7.5 million from its parent company in the short term in order … to continue to operate within its agreed bank facilities.” Even that hinges on finishing in an unspecified position in the Premier League with a further £3 million required if the club avoids going down. There is no mention of what happens in the worst-case scenario of relegation, but we can make a pretty good guess, as the club posted a £19 million loss the last time this happened. 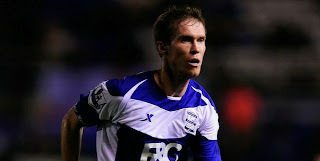 "Hleb - known to Arsenal fans as Dribbly McNoscore"
To a certain extent, the warning in the football club accounts is old news for Blues fans, as the BIH accounts published last October contained exactly the same “going concern” statement, while also noting that the Group’s current liabilities exceeded its current assets by around £28 million (depending on exchange rate with Hong Kong Dollar), after incurring a loss of £35 million, though much of this was due to a paper loss from writing-off goodwill arising on the acquisition of the football club. Clearly, the funds from the proposed share placing will be used to shore up the balance sheet, but that means that only limited funds will be available for transfers or stadium development. At the time, Peter Pannu eased the fans’ fears, “The accounts are those of the holding company and has nothing to do with BCFC, which in the last year had shown profits”, but this is palpable nonsense. Birmingham City Football Club PLC is the only trading subsidiary of Birmingham City PLC, which is in turn wholly owned by Birmingham International Holdings Limited (formerly Grandtop International Holdings Limited). If the chain of ownership is not enough to convince, try this for size: 99.6% of BIH’s turnover comes from the football club. All of this has cast significant doubt over the viability of the club’s holding company, which is crucial, as the football club is reliant on its support. 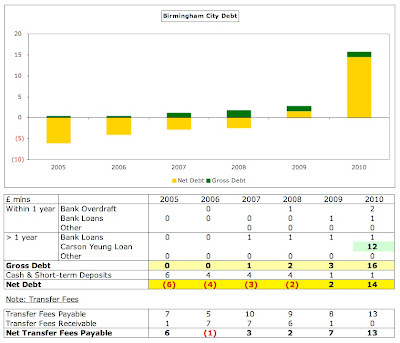 Birmingham City’s June 2010 balance sheet has net current liabilities of £27 million, while net debt is £14 million. Almost all of this has arisen in the last year, very largely comprising a £12 million loan (bearing 5% interest) from Carson Yeung, though he has promised not to seek repayment in less than 12 months. Since the books were closed, he has advanced a further £2.8 million, so the total owed now stands at £14.8 million. The club also has £2 million of bank loans and a £2 million overdraft, both of which are secured on the club’s land and buildings, offset by £1 million of cash. 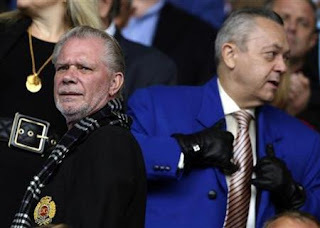 So, the club is no longer debt-free, as it had been during the reign of previous owners David Sullivan and David Gold, thanks to their frugal approach. Of course, Birmingham’s debts are not huge compared to other clubs, something that Pannu was keen to announce, boasting that they were “nowhere near the level of some major Premier League clubs and some of the powerhouses in Spain and Europe.” That’s true, even though his grasp of European geography seems rather loose, but the revenue generated by those clubs is considerably higher. In fact, Birmingham’s debt is effectively higher, as they also owe £13 million to other football clubs for transfer fees, of which £8 million is due in the next financial year. Stage payments of transfers is a fairly common practice, but this is quite a high sum for a club of Birmingham’s size and it has been increasing over the past few years. They also potentially owe the taxman £5 million on image rights if Her Majesty’s Revenue and Customs win a court case against a number of football clubs. Similarly, the club has provided around £1 million for a VAT dispute. 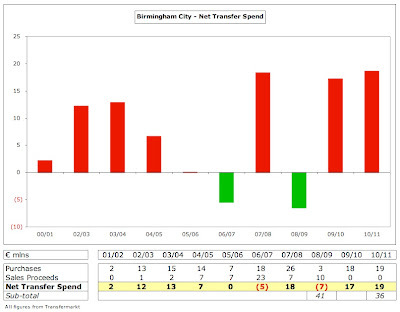 However, the majority of the debt has come from Birmingham’s recent largesse in the transfer market. People might be taken aback by the fact that Birmingham’s net spend of £36 million over the last two seasons is the third highest in the Premier League, only behind Manchester City and Chelsea. In a way, this is perfectly understandable, as a team promoted from the Championship has to improve their squad to be competitive in a higher division, but it’s still a surprising statistic. 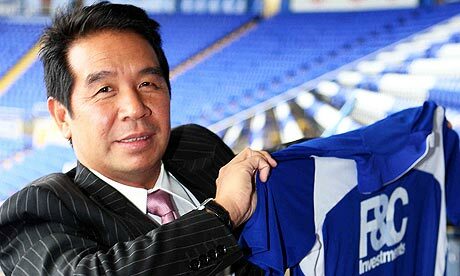 Although Carson Yeung has not quite delivered on his initial pledge to spend £80 million on new players (“£40 million in the January transfer window is my commitment to the Birmingham fans. 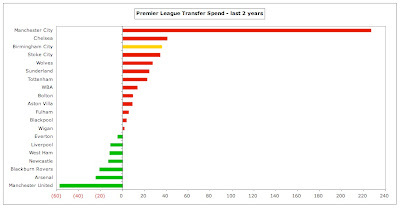 And next season we put another £40 million into the team.”), this still represents a significant outlay. Of course, boasting about such spending power did not appear to be a wise move from a negotiating perspective and Yeung has since admitted, “In hindsight, I can see that wasn’t the best thing to do. We learned one lesson – that suddenly prices shot up.” Well, they would do, if you show your hand so blatantly, e.g. the price of Roman Pavlyuchenko jumped 50% overnight. 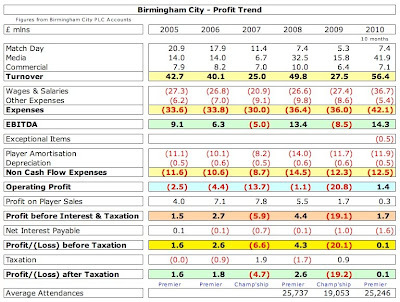 Looking at Birmingham City’s profit trend, we can see why Yeung’s loan was so important in funding the transfer spend. Even though the club was one of a select few to make a profit last season, it was extremely small at £0.1 million, necessitating cash injections. Let’s be very clear about this: Birmingham City have been run very well from a financial point of view, reporting profits in six of the last eight years, but they simply don’t produce enough cash to justify their recent activity in the transfer market. I should note at this stage that the last accounts only cover ten months, as the accounting close was changed from 31 August to 30 June, in order to be in line with the parent company BIH. This probably has limited impact on the revenue figures, as the TV money from the Premier League is distributed during the football season, while matches are not played in July and August. However, costs are booked evenly throughout the year, so a full year’s costs would have been higher than reported. Despite turnover more than doubling on Birmingham’s return to the top tier from £28 million to £56 million, this is still relatively low for clubs in the Premier League. 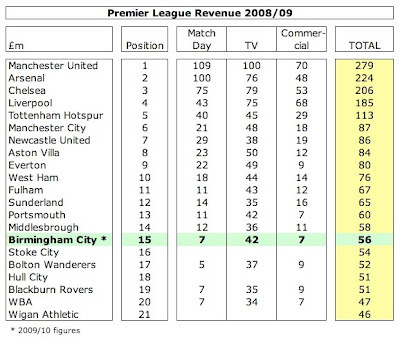 Even though it’s a different year, if we take the Money League for 2008/09 as a comparison, Birmingham would have been in 15th position or about the same level as Stoke City. To place that into context, Manchester United’s revenue is nearly five times as much, while Aston Villa earn 50% more. In fact, 74% of Birmingham’s total income comes from TV, which is only behind Wigan in terms of Premier League clubs’ dependency on the small screen, even though their £42 million is nowhere near as much as the leading clubs earn, mainly due to the money those teams earn from the Champions League. Like others, Birmingham have enormously benefited from the Sky revolution with £41 million of their £42 million broadcasting income emanating from Murdoch’s empire. 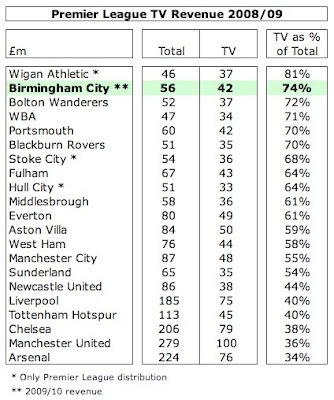 The distribution of the Premier League TV revenue is therefore of particular interest to a club like Birmingham. Much of it is shared out equally, namely 50% of the domestic rights and 100% of the overseas rights, but not all of the money is allocated in this manner. Merit payments account for 25% of the domestic rights with each place in the final league table being worth around £800,000, which we have already seen is important for Birmingham’s cash flow. In addition, the remaining 25% of the domestic TV rights comes from the facility fee, which is based on how many times Sky broadcast a club’s matches live. Last season Birmingham were shown eleven times, while the viewing public was treated to Manchester United the maximum 24 times. 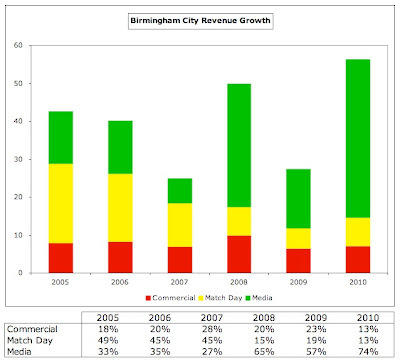 As such, Birmingham’s turnover is heavily influenced by the timing of broadcasting deals, with the significant increase in 2008 revenue being partly due to promotion and partly due to the new Sky agreement. Happily for the Blues, they can anticipate a similar boost to revenue in next year’s accounts, as the central payments from the latest three-year deal, which kicked off in the 2010/11 season, will climb by around £7-10 million, largely thanks to the steep increase in overseas rights. Although the parachute payments paid to clubs dropping out of the Premier league have been increased to £48 million (£16 million in each of the first two years, £8 million in each of years three and four), this would still represent a drastic reduction for Birmingham. They can expect around £48 million revenue from the Premier League this season, so they would have to manage a £32 million reduction in their revenue, which is a big ask to say the least. The accounts proudly announce that match day revenue increased by £2 million from £5 million to £7 million, though this is partly due to promotion. In a way, this was still impressive, as season ticket prices were reduced by 10%, but this amount is still insignificant compared to most other clubs. If you consider that clubs like Manchester United and Arsenal collect over £100 million of match day revenue, it’s hardly a level playing field. In fact, only three clubs have lower gate receipts: Blackburn Rovers, Bolton Wanderers and WBA. This is pretty much in line with crowd levels, as Birmingham’s average attendances rising of 25,000 (up from 19,000) were the 16th highest in England last season, partly because only 84% of St. Andrews’ 30,000 capacity is being filled. In fairness, the West Midlands has been stricken by severe unemployment, with many manufacturing plants (notably Longbridge) being closed down and other workers having their hours reduced. The club has invested some money into the stadium in the past, with the accounts specifically mentioning £1 million on refurbishing the main stand in 2008 and £2 million on the ground and training facilities in 2007, but the 2004 proposal to build a 55,000 capacity City of Birmingham Stadium has been put on hold, after the government refused to issue a licence for a super casino. If the Blues are adversely impacted by low match day revenue, the picture is even worse when it comes to commercial income with only WBA earning less than Birmingham’s £7 million. Again, the “big boys” generate substantially more revenue here with Manchester United and Liverpool receiving ten times as much at around £70 million. Note that the £10 million commercial revenue reported in 2008 was artificially inflated by the £2.5 million compensation received for former manager Steve Bruce joining Wigan. The shirt sponsorship deal with F&C Investments is worth just £650,000 a season, which compares very unfavourably with the £20 million that Standard Chartered pay Liverpool. In fact, only Blackpool’s deal with the inappropriately named Wonga is lower in the Premier League. 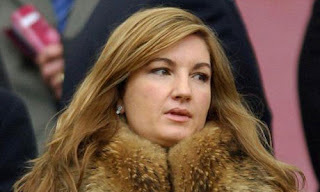 "Karren Brady - the first lady of football"
Stirring stuff, but is it really credible? Sure, football is widely followed in China with Premier league matches broadcast on free-to-air state channel Guandong TV, but even franchises like Manchester United have struggled to make any tangible impact there. Indeed, only a tiny percentage of United’s revenue comes from outside the UK. Of course, Yeung has many more local connections, which he believes will lead to Birmingham being “more popular than Manchester United and Chelsea”, but there’s been little evidence of that so far, beyond a pre-season tour. It’s obviously early days in the relationship, but to break through in a major market like China is likely to require the kind of funds that Birmingham do not appear to possess. Where Birmingham can be justifiably lauded is their cost control. In five years, total expenses have only grown from £45 million in 2005 to £55 million last year, though we should probably pro-rate 2010, as those accounts only cover ten months. If we do that, we get £65 million, which gives a growth of 44%, which is not too bad. As a comparison, Bolton, a club with similar revenue (£56 million), has seen cost growth of 95% in the same period. Using the same pro-rata technique, the annual wage bill is £44 million, which is one of the lowest in the Premier League at 15th. 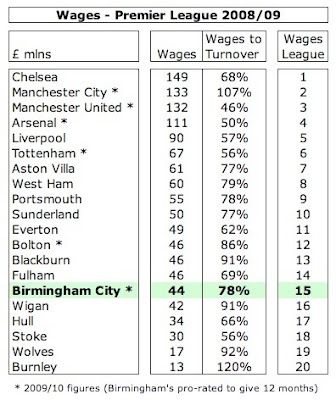 This means that Birmingham significantly outperformed their expected league position based on wages when they finished 9th. To place their wage bill into context, teams like Aston Villa and West Ham pay 50% more. 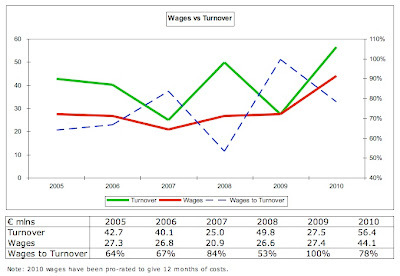 In 2007 wages were cut following relegation, but this was not repeated in 2009 when the club was again demoted, leading to an unsustainable wages to turnover ratio of 100%. This was lowered to 78% last season, due the rise in turnover following the return to the Premier League, but this is still a little on the high side. To be fair, this could fall to UEFA’s recommended maximum limit of 70% with a £7 million increase in revenue, which is entirely possible following the new Sky contract. The question is what would happen if Birmingham were to be relegated? Yeung has spoken in the past of maintaining a “magic formula of 60-70%” and “a fall-back option in case you are not in the Premiership”, which implies that there would be a sale of players in this eventuality, unless the players’ contracts include clauses reducing salaries in the Championship. Similar to wages, player amortisation of £12 million is far behind most of Birmingham’s Premier League rivals, who are still “paying” for the transfer excesses of previous years. Amortisation is an “accounting” expense, which occurs as the result of transfer purchases. When a player is bought, the cost is capitalised as an intangible fixed asset and amortised (written-off) over the length of his contract. This means that the costs of buying a player are not fully reflected in the books in the year of purchase, but over time the amortisation costs can have a real impact on the profit and loss account, e.g. Manchester City’s annual amortisation is an astonishing £71 million. Again, for Birmingham, this expense tends to rise and fall, depending on whether the club is in the Premier League or Championship. The impact that the new owners have had on the club’s transfer policy can be seen by looking at the net spend over the last decade. During the last eight years of the Sullivan and Gold era, this amounted to £41 million, but this has almost been matched with £36 million in the two years under Yeung. OK, a couple of the buys in 2009 took place when the “two Davids” still had their hands on the tiller, but the point largely remains valid. 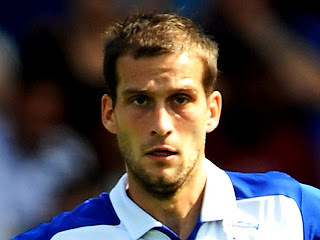 Many of the purchases, such as defenders Roger Johnson, Scott Dann and Craig Gardner have proved quite astute, while the club has also made good use of the loan system over the years, most notably with goalkeeper Joe Hart from Manchester City last season, but also the likes of Sebastian Larsson, Fabrice Muamba and Nicklas Bendtner from Arsenal. This is an example of the thrifty stance adopted by the previous owners, Sullivan and Gold, who appear to have provoked contrary reactions in most supporters. On the one hand, they rescued the club from receivership in 1993 when they bought it for £700,000 and they ran the finances in a sensible manner, generating profits in many years, which is a rare feat in the pressurised world of football. On the other hand, they were criticised for milking the fans and not investing more of their own money, leading to two relegations in four years, which many felt could have been avoided. Indeed, the former regime’s reputation for financial competence has taken a few hits in recent years. In March 2010, Sullivan himself declared, “Last summer we knew the club had a financial problem, as we publicly stated we loaned it £5 million to pay the deposits on two new players, because there was no money to do that.” In the same interview, when confronted with Birmingham’s £19 million loss in 2009, he admitted, “I can’t see where this loss has come from”, even though he had sanctioned the policy of retaining the Premier League squad in the Championship – which, admittedly, was vindicated when promotion was secured. "Gold and Sullivan - the dynamic duo"
Then, there’s the small matter of a few legal difficulties, including a tribunal finding against the club in 2007 over the issue of reclaiming VAT on agents’ fees, and Sullivan and Karren Brady being arrested the following year on suspicion of conspiracy to defraud and false accounting (though no charges ensued). While these incidents may have raised supporters’ eyebrows, they were more angered about the size of Brady’s pay-off, when the club was sold. According to the circular sent to Birmingham City shareholders, this amounted to a staggering £959,000, comprising 12 months’ notice £179,000; once-off bonus on company sale £520,000; and a bonus for each season played in the Premier League, starting 2009/10 £260,000. Of course, the old saying caveat emptor springs to mind and it is fairly obvious that Yeung’s due diligence could have been better, especially as this was his second bite of the cherry, having failed to raise sufficient funds in his collapsed takeover bid of 2007, when he had to settle for a 29.9% stake instead. Despite this inside track, Yeung surely over-paid when he finally bought the club in late 2009 for £81.5 million, which was £17.5 million more than Randy Lerner paid for Aston Villa and £58.5 million more than Venky’s paid for Blackburn Rovers (though in both those cases, the new proprietors took on more debt). "McFadden - absence makes the heart grow fonder"
A similar lack of attention to detail was exposed when Yeung’s company lost a court case to stockbroker Seymour Pierce, who had sued the club for £2.2 million of unpaid fees relating to advice provided in the initial takeover bid, apparently because they had failed to submit three months’ written notice. At one stage, there was talk of this case causing the owners to lose control of the club, which may have been an improbable scenario, but it did raise questions over the strength of their financial backing. There has always been a dichotomy at the heart of Birmingham’s new owners: plenty of bullish talk about money being made available for new players, even though the holding company appears to have little financial substance. Indeed, Grandtop made significant losses in the four years prior to the acquisition and required a £57 million bridging loan to fund the takeover, which was only repaid after a share issue. This was a sign of things to come, as the current working capital issues are once again being addressed via another share placing. "Nikola Zigic - more bang for your buck?" That’s certainly true, but the latest placing document clearly identifies the anticipated dilution of Yeung’s stake that would result from this process. He currently holds 18.54% (in his name 5.82%, wholly owned Great Luck Management Limited 12.72%), which would fall to 16.25% after completion of the fully underwritten element and 12.47% if the maximum number of “best effort” shares are placed. Apart from demonstrating the lack of confidence in BIH, given that less than 25% is underwritten, this share placing raises a couple of important questions: (a) If Yeung has so much money, why is he prepared to let his stake be diluted, especially as the price is half of what he previously paid? (b) How can he still be the “main man”, when he will own less than an eighth of the company? In fairness, he would still be the major shareholder, if not the majority shareholder, and it is possible that other large shareholders are close business associates, who are happy to see him to lead the organisation. That said, he sure has come a long way since the days he ran a chain of hair salons, before apparently making money from the ubiquitous “property development” and becoming chairman of Hong Kong Rangers football club. "The focus of Roger Johnson"
In fairness to Carson Yeung, he has so far delivered on a number of promises: the money was found to purchase the club, the bridging loan was repaid and money has been provided to fund transfers (albeit not to the levels initially pledged). That said, the lack of transparency must be a concern for Birmingham City fans, not helped by the club’s parent company being incorporated in the Cayman Islands, an offshore tax haven. The Premier League have been satisfied to date, but their tests only require a guarantee that the club is funded until the end of the season and is not designed to look at long-term solvency. Push will come to shove soon enough, as Birmingham’s ageing squad will need to be rejuvenated and that will require a fair bit of cash. The concern is that the complicated structure is acting as the proverbial smoke and mirrors to disguise fundamental financial weaknesses, while the hope is that the club do indeed manage to break into the lucrative Chinese market and reap the benefits. We shall see. Encouragingly, Peter Pannu recently stated that Birmingham had to be “financially prudent” and could not be run on a “benefactor’s model” otherwise they would end up like Portsmouth, but he also said that Yeung was not going to “turn off the taps.” It’s a delicate balance that affects all clubs, but many of them do not suffer from the Blues’ Byzantine ownership structure. In many ways, Birmingham City is an admirable club with solid, down-to-earth principles. They have a small budget, but have continued to punch well above their weight, earning the respect of the Premier League. Much of this is due to a fiercely loyal support that deserves more clarity from the club’s owners. As Peter Pannu said, when talking about the previous administration, “The fans would like to see the lifting of the corporate veil and their club run in a responsible and open way.” I couldn’t have put it any better myself. Excellent and thorough. Well done. Another excellent article. Well done Mr. SwissRamble. 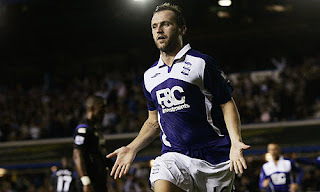 This is a great report for us Birmingham City fans. The report clarifies some of the hidden aspects. Would be nice if there were some wealthy people who would help us in our dreams. If the club is being financed by some mysterious Chinese they would reap some good rewards with their huge population. We are not too far off being a half decent premiership side. I feel if we invest prudently in a couple of years we could be a top half club. We the long suffering supporters realise we need to go slowly; but not too slowly. Interesting commentary, and apt timing given the breaking news that Spurs have accepted a £6m bid for Robbie Keane from Birmingham. Suggests that further capital has been provided (or, at least, will need to be ultimately), which doesn't necessarily sit well with the suspension of the share trading - something that rarely ends well, unfortunately. Fantastic article,amazing,all that is missing is the golden nugget,a chinese player,to get in the squad,which could bring in 1.5billion pounds,just like the basketball player. I am grateful for this. The local Birmingham newspaper - the Birmingham Mail is saying nothing about this issue by either ignorance or suppression. When Grandtop took control the newspaper issued a veiled threat to Yeung that they would be watching every step he made. For whatever reason they have failed to do this. The financial collapse of BCFC looks like being 2011's work in progress. As fans all we can do is continue to support the club in the best way possible, by attending matches. Understanding the ownership is like trying to read a newspaper in a smoke filled room. If BIH collapse it'll take Blues with it and the Portsmouth scenario will haunt us too. Crashing down two divisions is something I NEVER want to witness again!!! At last an excellent review of BCFC financial details.This raises more questions for us fans.Better to live in hope... and I like Big Eck with new players and a rise up the table and dare I say it, one or two good Cup runs,the rest of 2011 might be a good and a profitable one !! As someone who's never been to Birmingham it seems to me by looking at some of the numbers that the city has more Aston Villa supporters than BCFC supporters, can anyone verify this?? Also you stated that the last time the club suffered relegation they lost $19 Million, does that take the Parachute payments they received into account? I know that this helps clubs remain financially viable (and why we see yo-yo clubs like West Bromwich moving back and forth from the EPL to the Championship). What I don't understand is all the public and media animosity toward Gold and Sullivan. For all that is said about them and their businesses (hardly more seedy than most owners' dealings), they have acted as astutely and prudently as any owners in the country and seem to have a firm grasp of the economic situation and in reality. Now they are running West Ham very well, considering the mess it was left in. There's a very illuminating Hardtalk interview with Sullivan in which he comes across as one of the most genuine, down to earth and shrewd owners in football. and here's the link to it. Not sure if it will work in Switzerland though. "What I don't understand is all the public and media animosity toward Gold and Sullivan." That's because they promised Champion's League football for West Ham, and at the moment it looks like they are getting Championship football instead. Their bid for the Olympic Stadium is stupid too and they are bidding for something that's essentially a crappy temporary stadium, with crappy facilities, no proper roof and a running track. Not to mention it's hard to believe that club will be able to fill up a 60000 stadium. Spurs have shown that they know a lot better about what they are doing, which is why I will be surprised if they don't end up with the Olympic Stadium. Yes, that £19m loss included parachute payments, though they have increased since then. There are two ways of looking at this. On the one hand, it's a huge drop in revenue compared to the Premier League. On the other hand, it's still likely to give a relegated team a larger budget than other teams in the Championship. Excellent stuff again Mr R - I am finally beginning to understand all the accounts with your expert help. What about an analisys of Wolverhampton Wanderers? Must be interesting as they have a very low wage budget (and a low revenue) + a stadium renovation project: a gamble? I would actually like to review Wolves, but I shall wait until their 2010 accounts are published, so that the article is as up to date as possible. "while the hope is that the club do indeed manage to break into the lucrative Chinese market and reap the benefits. We shall see." It's interesting how many clubs are run as loss making shells, picked clean by dodgy owners, management, agents and players, leaving fans and naive investors to take the hit. I mean whose money is really sunk here anyway? Do we really know who has skin in the game? they win the carling cup, and will have the chance to play in europe next season.. but there are reports that they may not be able to compete in Europe unless they can assure the Premier League, UEFA and the Football Association their financial future is secure.. Portsmouth anyone? Only we do disaster so well...we seem to always jump out of the frying pan into the fire...when will it ever end...we win the cup and get into the Europa Cup and only have 2 games to get into the group stages...and what do we do...we put ourselves into a position were all this progress will be destroyed overnight following a end of season inevitability....We keep right on....but slowly by slowly the road is wearing out and the fans are dropping off...soon this club will implode and there will only be a handful of us left...Everyone talks about a club underachieving.....well this club should not be this small and move from one tragedy to another...but it does...and this has made one of the clubs with the most untapped potential be the biggest underachieving clubs if not Europe but certainly in England. Grounds For Concern At Schalke?